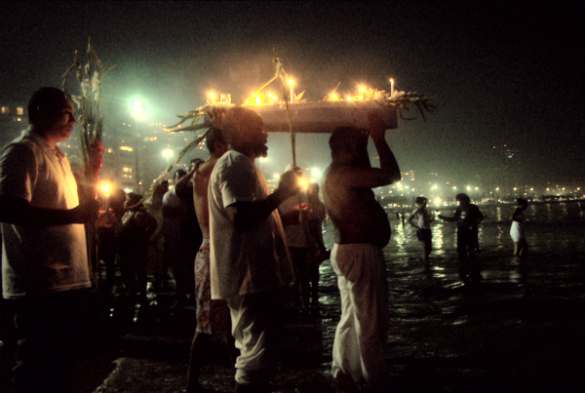 A specially commissioned art installation exploring the spiritual rituals of Brazil is heading to the Victoria Gallery & Museum for this year’s LightNight festival. ‘Híbridos, The Spirits of Brazil’ is a multi-screen installation by international artist duo Vincent Moon and Priscilla Telmon. Based on four years of research, the film presents an expansive audiovisual journey into the spiritual and cultural rituals of Brazil through a realm of movement, dance and music pulsating at high rhythms. It’s one of seven new artistic LightNight commissions revealed today; each exploring ‘Ritual’ – the theme binding 2019’s programme, with events exploring personal and communal rituals of all kinds throughout history to the current day. Produced by social enterprise Open Culture, LightNight Liverpool is in its tenth year and presents new and ambitious commissions alongside free concerts, exhibitions, hands-on workshops, performances, talks and more. The full LightNight programme, including other University of Liverpool activities, will be released on 15 April. LightNight takes place during Open House 2019 – ten days of free talks, performances, exhibitions and interactive experiences at the University of Liverpool from 13 – 22 May 2019.